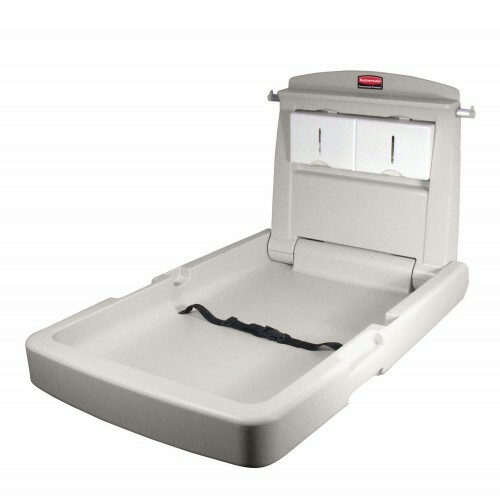 Rubbermaid’s baby Changing Station's are available in vertical or horizontal, they have a large deep bed with an adjustable safety belt. The station is designed with antibacterial protection which inhibits the growth of bacteria that causes odours and stains. The station is foldable, with an easy one-handed operation to allow for safer opening and closing. 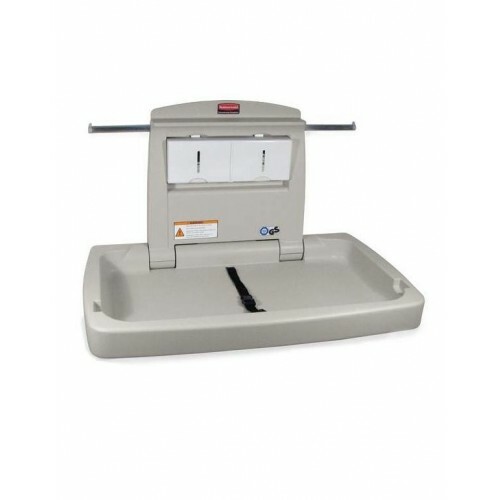 The Baby changing Station meets all applicable standards, ASTM or EN 12221-1. Must be securely installed.